I just saw this list today and I thought it would be good to share. These twenty-five things are not the final word on what a father should teach his son. If there are others I’ve missed, please reply and add them to the list. Also, if you as father (like myself) not have done all of these things with your son or sons….this will be a good guideline to keep in mind and some things to try with your son or sons in the future. 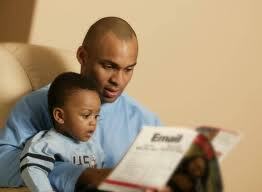 This list is not an indictment on fatherhood but an encouragement for fathers. And sometimes men….we do need encouragement as well. 23) Tip-for example at least 15% at a restaurant, $1 for a checked coat, $1 per bag for curbside check in at airport, etc. 24) Serve others—-shovel walks, help with heavy loads, etc. There is the list. Thanks to Randy Stinson and Dan Dumas for coming up with it. Those touching, powerful quotes are from Minister John Ames, the protagonist of Gilead by Marilynne Robinson. Gilead tells his story in letter form to his young son about his life and struggles as a man of the cloth in the town of Gilead, Iowa. Robinson creates a three-dimensional picture of Minister Ames through his belief in Jesus Christ, the struggles with his faith, and the relationships with his family and others in the town. Ames was willing to risk having a friendship with a man that could shake his faith. It exhibited the depth of his conviction and a genuine love for humanity not something learned from seminary or taught over the pulpit. Even though, I thought the relationship seemed distant and remote at times, Ames clearly loved him and mentioned in the story his failed attempt to convert him to Christianity. The second relationship was with his best friend, Jack Boughton’s son, John Ames Boughton. The younger Boughton believed in Christ growing up but drifted away from the faith as he got older. However, he always had a respect for Minister Ames and came to him often for spiritual questions. Even though, Minister Ames answered his questions, the younger Boughton could never get over the intellectual hurdles he had in order to become a believer. This relationship with the younger Boughton was more dynamic than his relationship with Feuerbach. As a result, it showed a man who truly believed the gospel was for everyone. From those who believed blindly and uncritically to those once believed and rejected it to those who never believed in the gospel. Minister Ames walked the walk as well as he talked the talk. Gilead was the first novel I’ve read that grew on me. It was okay at first, because the lack of action or suspense and even no chapters. As I kept reading, I began to like the novel more and Robinson created such a full, rich character that it made me think of my own spiritual journey. 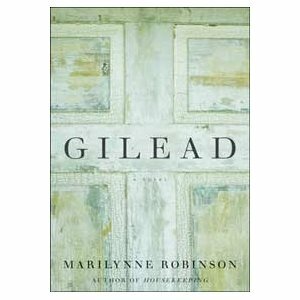 I would highly recommend Gilead and consider it to be the best novel I’ve read and reviewed in 2013 so far.